Literary heavyweights, Tsars, revolutionaries and oligarchs - Russia’s epic history is matched only by its tremendous scale. ​​​​​​Covering 17 million square kilometres and 11 time zones, Mother Russia stretches from Eastern Europe and the Baltic Sea, through Siberia to the icy Bering Strait. Within her borders you will find handsome cities and chocolate-box towns, monumental landscapes and a rich culture. 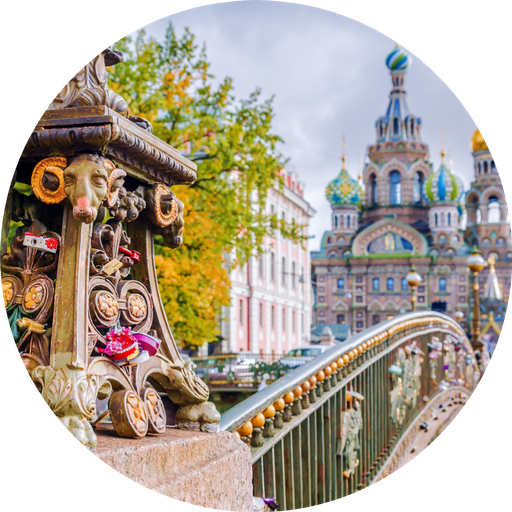 In European Russia, both Moscow and St Petersburg are powerhouses of art and culture, where colourful gilded domes sparkle on the skyline and architecture is wrought on a grand scale. Beyond, the largest country in the world stretches out into vast grassland steppes, frozen coastlines and boundless tracts of snow-dusted coniferous forest. Those seeking adventure and stark beautiful landscapes need look no further. There are many wonderful experiences to be had in this giant of a country. For further inspiration take a look at the trip ideas put together by our trusted local experts at the foot of this page, but in the meantime here are our top three things to do in Russia. The classic Trans-Siberian route stretches from Moscow, 9258km east to Vladivostok. This seven-day journey crosses into Asia by way of the Ural Mountains and continues on across Siberia. There is ample opportunity for gazing out the window at the beautiful panoramas of Russia’s immense interior, and for meditating on what life must be like in its remote villages. Break your reverie with a stop at Siberia’s mysterious Lake Baikal, one of the largest, deepest and most ancient lakes in the world. Once Russia's imperial capital, St Petersburg is a year-round destination that showcases the grandeur and wealth that defined Russia's imperial past. Wander the banks of its stately waterways, explore lavish churches and marvel at the ornate Winter Palace. An abundance of museums, galleries, opera and ballet make culture high on the agenda. Alongside classic sites like the Hermitage Museum, the streets are filled with modern galleries that bring a contemporary buzz to this historic city. Bold, bright and opulent, Moscow is the epicentre of modern Russian life with high-end restaurants, designer shopping and exclusive bars. Alongside the contemporary rush, there's also the winding streets of old Moscow. Here, the palpable weight of history hangs over Red Square, the Kremlin and the candy-cane swirls of St Basil’s Cathedral. Wrap up warm and visit the capital during winter, when ice-skating, dog-sledding and pop-up ice bars create a real-life winter wonderland. When should I visit Russia? The most popular and best time to go to Russia is during the summer months of June, July and August, where the days are balmy and long. That being said, it can easily be argued that there isn't a bad time to go to Russia, as all the seasons are equally wonderful in their own ways. 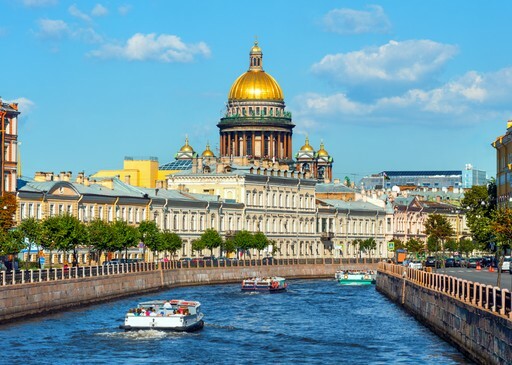 The snow begins to melt in April and the cool, sunny spring days (right through til early June) are ideal for exploring the cities of St Petersburg and Moscow. Easter is hugely important to Russians making this a very interesting time to visit too. 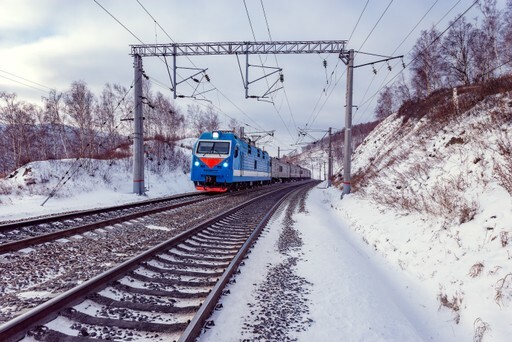 The summer months are popular for the Trans-Siberian Railway, but again this runs year round (even through the frozen months) and you will perhaps find the quieter periods more enjoyable. Autumn (September - October) is a beautiful golden time to visit, and many say that seeing Russia sparkling under blankets of snow over the winter (November - February) is well-worth the plummeting temperatures. Christmas in Russia is on the 7th January, so the sparkling markets are still open early in the year and this is a lovely, quiet time to explore the cities. 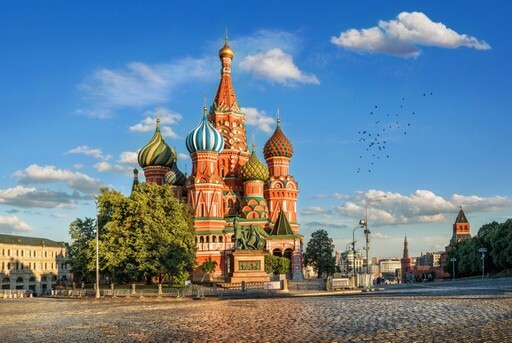 Create your bespoke holiday to Russia!